While the ways we care for the disabled and elderly in America have evolved, those who actually provide that care still face some of the highest workplace injury risks of any profession. Direct care workers, including certified nursing assistants (CNAs), care aides, and other front-line employees who interact with patients as a regular part of their job, face some of the highest injury rates in the nation. With work requirements that demand CNAs and other providers lift and transfer residents daily, it’s no surprise that these workers suffer overexertion injuries at rates that surpass those for the vast majority of occupations. 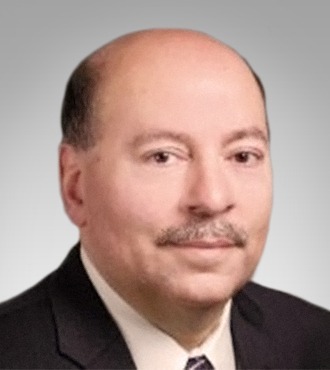 That pronounced risk places a significant burden on nursing homes, skilled nursing facilities, and many assisted living facilities, who are responsible for millions of dollars in care for injured workers, lost work days, and workers’ compensation claims. Fixing the problem demands a reevaluation of how these facilities utilize on-site services to alleviate the risks associated with direct patient care. Data from the US Bureau of Labor Statistics reports that across the nation, workers in all fields experience injuries at a rate of 100 per 10,000 workers, of which about 33 can be attributed to overexertion or the body’s reaction to a work task. Workers in the direct care field, however, face much higher injury risks. The same data shows that per 10,000 nursing assistants, 336 experienced an injury in 2016, with 184 resulting from overexertion. Likewise, nursing assistants suffer certain kinds of injuries at far higher rates than the average American worker, with over 177 reported sprains, strains, or tears per 10,000 workers—more than four times the rate of workers across industries. The costs of these injuries can be staggering—for instance, the financial burden from back injuries among healthcare workers exceeds $7 billion annually. The fact that nursing homes rank third in the nation for nonfatal occupational injuries compared to all other industries is a function of the work these employees are asked to perform each day. 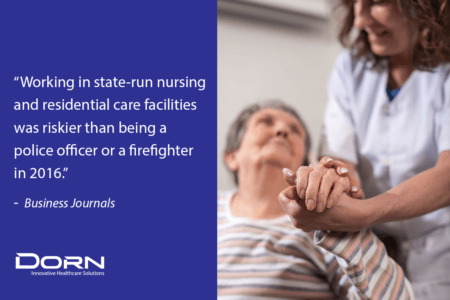 Since nursing assistants and care aides are often tasked with the care of individuals who are unable to move on their own, much of the physical work involves lifting patients between beds or otherwise helping residents move. In fact, a typical care worker in a nursing home might have to lift or reposition residents as many as 20 times in the course of a single morning. That kind of repetitive strenuous motion puts these workers at a startling risk for injury, especially considering the strain placed on the back from these motions. To combat the elevated risk of injury to care workers, it’s essential that their employers examine the workplace and achieve an understanding of how daily tasks, current best practices, and equipment contribute to the overall safety of a nursing home or assisted living facility. However, doing this with in-house resources alone can be limiting, and can prevent managers from seeing the whole picture while providing a high quality of care, which is their first priority. Fortunately, there is now an array of options available to help these facilities become safer for their employees. Considering the heightened risk of overexertion injury to care workers, managers should focus on services that either reduce the strain placed on workers or modify the work process so that less exertion is required. An ergonomic-based assessment, along with on-site monitoring, can isolate many of these issues, helping to define specific hazards that appear throughout the worker’s daily routine. Specifically, a trained ergonomics professional can identify equipment and tasks that place unnecessary strain on workers, and help create and enforce safe work practices that keep nursing aides free from injury. The role of assistive technology in nursing homes has expanded in recent years, and a trained eye will find the best opportunities to implement equipment such as patient lifts that do the bulk of the lifting when a patient needs to be moved. These on-site services aren’t limited to ergonomics and equipment reviews. Comprehensive evaluations performed by trained worker safety professionals can help redefine elements of the workplace whose influence on worker safety is perhaps less obvious than patient lifts and new techniques. Scheduling and rostering practices should also be updated to reflect a modern understanding of the workplace. Working in tandem with facility management, on-site coaching can ensure that workers’ abilities are considered when assignments are made—their tasks should match their physical strengths, and those at greater risk for an overexertion injury should not be placed in positions of risk. Along with in-person, real-time training that catches risky techniques in the moment for immediate correction, facility management can ensure that nursing aides and assistants are armed with the knowledge and training they need to do their work effectively and safety. Safe resident handling training teaches front-line employees how to lift, transfer, and handle residents who need to be transferred between areas or have fallen. Even in a tight labor market, conducting Post-Offer Employment Testing (POET) to assess a potential employee’s physical ability will help to reduce the risk of injury or quick exit on their part. Combining POET with work hardening reduces the fallout rate and brings the employee up to healthy standards of wellness. When management shows a concerted interest in helping keep workers safe, it empowers those employees to take charge of their health and invest time and energy in their own well-being. Help workers feel cared for on the job by adding on-site pain therapies and stretching/mobility programs, which target the physiological causes of pain and injury while preventing further strain. Manual therapy brings about immediacy of relief and ROI, while other services discussed help ensure the long-term safety of employees and residents. As in any field, the key to protecting care workers lies in preparation and training—not just for nurses and aides but for management. With a top-down philosophy of wellness that considers the worker holistically, employers can avoid the budgetary burden of workers’ compensation claims and treatment costs while fostering a positive, proactive environment of safety that inspires workers to be their very best. 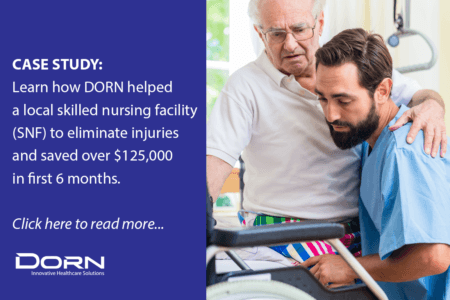 If you feel like DORN could help your organization to prevent injuries and eliminate workers’ comp and healthcare costs, feel free to reach out for a free consultation. We’d love to chat about what value we could add to your organization.